It's been a pleasure watching the Jazz recently. The season has been somewhat bumpy... but currently... the Jazz couldn't be playing better ball. We've won 11 of the last 12 games. Deron Williams is playing like an All-Star. And it's good to see him get some well-deserved recognition. He's one of the most savy and smart point guards in the league. This quote from ESPN.com explains... "Williams was to the Jazz like Bill Clinton was to the economy. People will always argue about whether or not he was responsible for all that success. But one thing's certain: He could have screwed it up, and he didn't." Deron has led this team like a champ. AK jumped into the time machine and returned to 2010 in his 2003-form. He's all over the place! Check out his line from last night against Portland. AK finished 8 for 9 from the field, and recorded 8 assists, 6 rebounds, 2 steals, and 2 blocks. That's efficiency. Memo broke out of his slump. He burst onto the scene with an 11 for 13 shooting night and finished with 28 points against Portland. He was moving around on the floor like "old" times... securing boards, getting dunks, delivering "and ones", and not just settling for the "Money-man" three-ball, like he's been accustomed to doing recently. Millsap has finally been earning his off-season payday. Perhaps it's because he's getting Boozer's minutes in the starting line-up. Regardless though, Sap has provided a spark for the Jazz that hasn't fully been there in the past. The only hope is... Can the Jazz keep up the impressive play when Boozer returns? He says he's still "a little too tight, and a little too sore" to play yet. But, when he does, the Jazz have a chance to really surge towards elite playoff positioning. I think the unsung hero here is Wesley Matthews. The man plays with hunger and urgency. Ross Siler mentioned something a couple of days ago that I found interesting - Wes Matthews' locker was moved next to Kirilenko's, switching with Fesenko. Since that time, the Jazz are 10-1. Perhaps the rook is the cause for a re-awakening of AK47. That stuff about Matthews and Kirilenko is interesting. 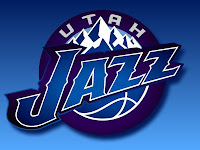 Post it and I'll mentioned it in my next entry for yahoo if the Jazz keep winning. Another interesting stat from that ESPN article: "Before New Year's, this season, Williams was taking a shot every 2.58 minutes he played. In 2010, he's going 3.13 minutes between shots."